Throughout the year I run various floral workshops. They are the perfect opportunity to take a few hours out for yourself and learn something new. Why not come along and have a go. Create your own beautiful seasonal hand-tied bouquet. 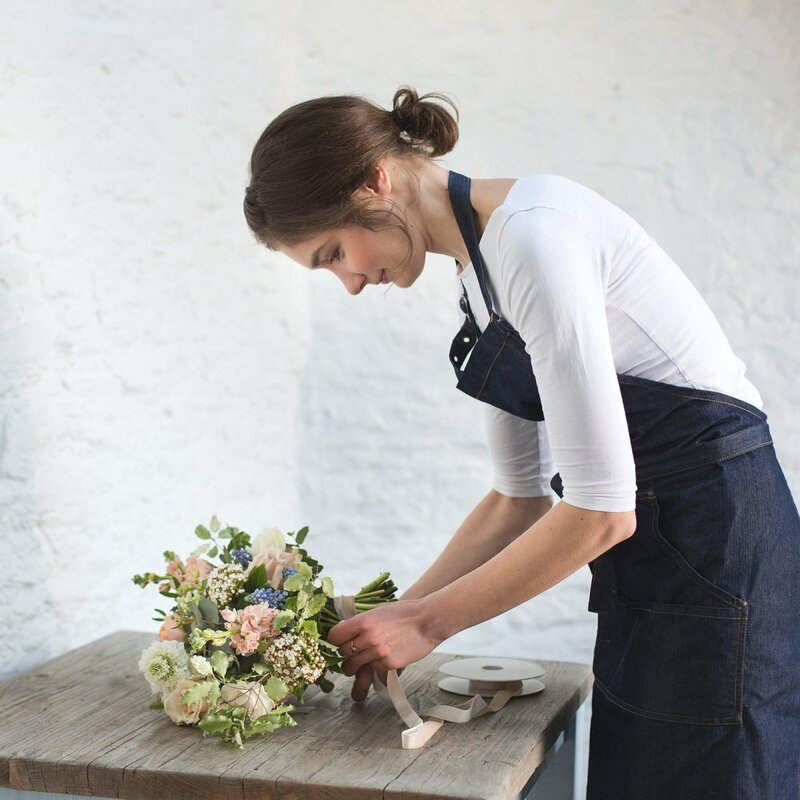 During this workshop we will look at how to condition your flowers and how to create a hand-tied bouquet using the spiral technique. After tea and homemade cakes we will then wrap our bouquets in rustic biodegradable packaging ready for you to take home. The workshop will be run in collaboration with 19 Gather and Create and will be run from St Johns Hall in Clevedon. Create a stunning seasonal arrangement in a rustic container. During this workshop we will use a selection of seasonal flowers and foliages to create a gorgeous arrangement using traditional foam free techniques. This workshop will be in collaboration with 19 Gather and Create and will be run from The Princes Hall in Clevedon. Create your own stunning festive door wreath.